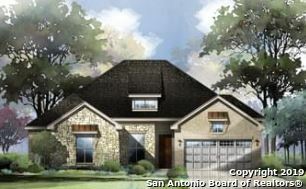 All SUNDAY CREEK homes currently listed for sale in San Antonio as of 04/22/2019 are shown below. You can change the search criteria at any time by pressing the 'Change Search' button below. "THIS BEAUTIFUL SITTERLE HOME IS A 4 BDRM, 3.5 BATH, 3 CAR GARAGE 1-STORY HOME WITH AN OPEN FLOOR PLAN AND HIGH CEILINGS. HARD SURFACE FLOORING IN ALL LIVING AREAS WITH WOOD FLOORS IN THE STUDY. STAINLESS STEEL APPLIANCES, DOUBLE OVENS, 36 GAS COOKTOP AND GRANITE COUNTERTOPS IN THE KITCHEN. EXTENDED COVERED BACK PATIO."